My driving force from a very early age has been, to help people be as happy with themselves and as fulfilled and content as possible. Coming from a complimentary Therapies background, I became fascinated in the way the mind works and how that affects behaviour, health and success, so I did post graduate training in psychotherapy and hypnotherapy. I continued my education by training in coaching and eventually gaining mastery. (I ran a successful coaching college for 8 years). I have over 20 years experience in the field of human psychology and development, I specialise in helping people develop themselves personally and professionally so they can feel more confident and be more effective and successful in whatever is important to them. Having a happy successful family is important to me also. My daughter Camilla is a successful singer burgeoning into a genuine star of the classical-crossover genre www.camillakerslake.com. My Kiwi husband Greg is an amazing Chef, IT guru and an incredible supporter to us both. As a coach my aim for the client is to achieve a balanced personal and professional life, tailored to their desires and core values. I have a passion in the dynamics surrounding motivation, commitment and performance in successful people and how people perceive, process information, think, act, react and interact. For 12 years prior to this I held a number of commercial positions with Cadbury, Pepsico, and GlaxoSmithKline, most recently as Strategy Director. This combination has equipped me with a variety of skills and techniques to ensure a fun, inter-active and positive experience for the individual or team. I live in Fleet in Hampshire with my very supportive husband and wonderful son and gorgeous little daughter. Away from work, I am a keen sports participant having attained top level recognition in the UK as a beach and indoor volleyball player. I am also an active supporter of several local charity initiatives. 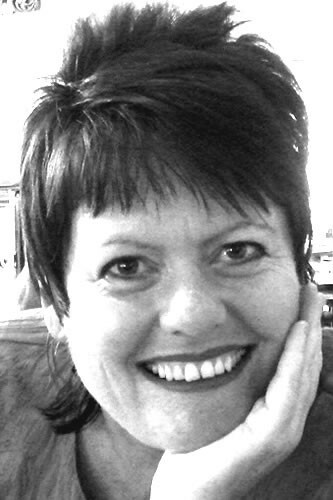 Rosalyn Boyce is an Integrative counsellor, Accredited Coach and public speaker. Rosalyn started her professional life in the corporate sector as an IT trainer working with blue chip companies throughout the Uk. After being invited to work on the advisory board for Project Sapphire at New Scotland Yard and then the Witness Service she went on to spend six years as a core team member of the Restore Programme facilitating rehabilitation workshops for offenders around the country and now regularly speaks publicly about her experiences. She has been Interviewed by the Bishop of Liverpool for BBC's Radio 4 programme “The Bishop & The Prisoner”, Radio 5 Live and Loose Women. Most recently she has spoken at Sussex & Gloucester police commission conferences and for the Ministry of Justice “I've got something to say” campaign. She has a private counselling and coaching practice and lives in Surrey. Barbara Flanagan-Smith describes herself as a Transformational Life Coach. From a successful Banking and Insurance background she has worked in the past for Barclays Bank PLC and Friends Provident and over the last five years has developed her own coaching business to a level where she now enjoys working with personal coaching clients and small groups. Passionate about delivering coaching that makes a difference, Barbara uses her wealth of knowledge and experience, to help clients rediscover “that inspirational fizz we all posses”, and describes her speciality as helping people to accept the past, give gratitude for the present, and get busy with planning a brilliant future. Barbara lives in Thames Ditton Surrey with her very patient, husband Phil and three, very busy, teenagers. Student Female 40s. I have learnt a great deal today. Deborah is a brilliant, enthusiastic, encouraging teacher. I really enjoyed the workshop and would recommend it. I achieved all the goals that I wanted to from this workshop - I would like to do some more! Student Female 20s. I made more progress than anticipated. Thrilled with the workshop. Brilliant, Inspirational, talented, wonderful!! Student Thanks again for the fantastic seminar, it's all help and advice that I use everyday both at home and work and I encourage positive thoughts, attitudes and language whenever I can and I'm all the happier for it. Client Male late 20s (after 4 individual coaching sessions). Thank you so much, none of this would of been possible without your coaching!! (new GREAT job, strong new partnership and greater self confidence) I cant believe how much things have changed both in my personal and professional life in such a short time, its Awesome and unbelievable!! Client It is thanks to you that I sit here with 3 kids and a husband! Cannot thank you enough. Even when I want to tear my hair out ....... I am 100 times happier than I was before having them in my life! Wishing you lots of happiness too.